Envying the past isn’t difficult; all it requires is that you disregard the advances made in your time and focus instead on what has been lost, convincing yourself of some mythical and departed golden age. This is as true of cinema as anything else: our access to films has never been greater, but our voracious obsession with upcoming releases can sometimes create a nostalgia for a time when there weren’t film trailers for film trailers. This nostalgia makes it very easy to envy those cinemagoers who first saw Alien in 1979; cinemagoers who walked into a cinema knowing nothing about it other than its setting and basic premise. In a world where exposure to a film would largely come from a single viewing of a trailer, and perhaps a review or two, Alien’s considerable surprises would have been extraordinary. Its successor, − technically a prequel − isn’t nearly so fortunate. With news outlets scrambling over each other for any sort of scoop (to the point where this country’s most popular film magazine ran a split-second analysis of one of Prometheus’ trailers), it’s impossible to come to the film with anything less than sizeable expectations. While the marketing department has used that situation to its advantage masterfully, creating genuine excitement about the film whilst giving little away about its actual plot, this unrelenting culture of anticipation can only be negative for the film’s reception. As such it’s remarkable how close the film comes to achieving its lofty goals. Engaging, spectacular and tense, Prometheus loosely follows the beats of the original: a group of people travel to a planet they shouldn’t, and things ends very poorly for them. The key difference is that the core team are purposefully making the journey: true believers rather than the bored crew of Alien’s Nostromo, their trip is a quest for discovery. As a result the film deals with larger questions of faith and the pursuit of knowledge, but loses the streamlined terror of its progenitor. 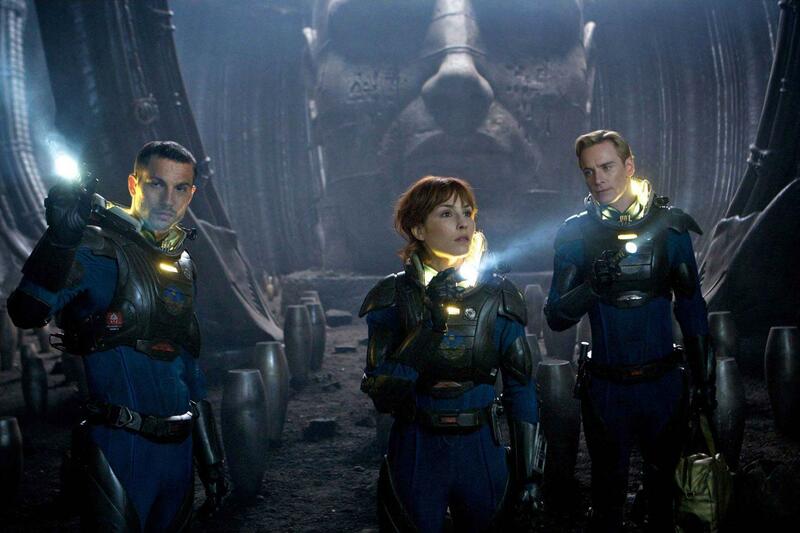 Both in setting and in structure, Prometheus is open and expansive where Alien was closed and claustrophobic. The plot of Alien was simple: a perfect killing machine with acid for blood stalks the crew of a spaceship. The plot of Prometheus is far less clear. 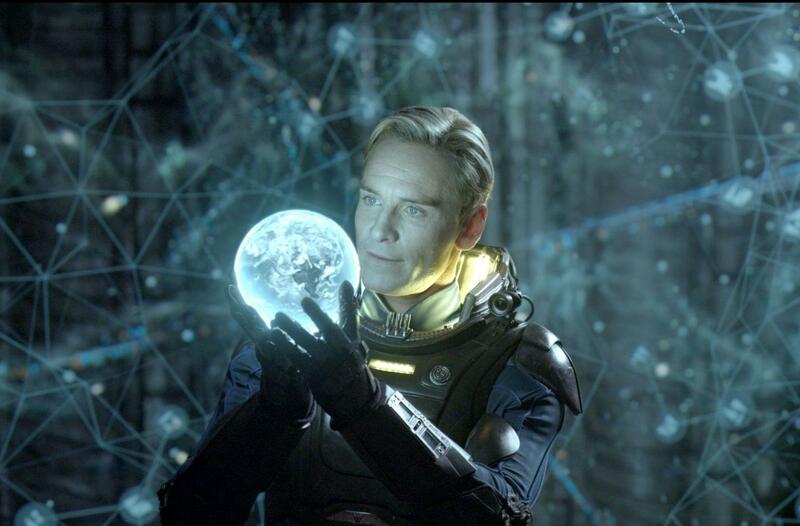 Ambiguity is something to be praised considering how morally simplistic most films with massive budgets are, but Prometheus is in dire need of an imperative for its characters beyond a desire to learn their origins. Crowding the edges are too many characters with ulterior or murky motivations that it’s hard to get a purchase on anything, or to feel that much is at stake for anyone − there’s a surprising lack of drama considering how big and noisy everything is. It’s a testament to how well the film is made and how many great elements it contains (foremost of which is its production design and Michael Fassbender’s superlative performance as the complicated, chilling robot David) that it manages to be as entertaining as it is, in spite of its many flaws and missed opportunities. But to give any more away however would be a disservice. As thoughtful and accomplished as Prometheus’ marketing campaign has been, one feels that the best way to view the film would not be dissimilar to way those audiences in 1979 watched Alien: in the dark.